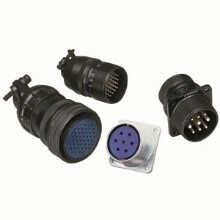 Heilind Electronics is a distributor of interconnect products in North America and a medical connector distributor. The company offers a comprehensive inventory of connectors from manufacturers such as 3M, FCI, Hirose, LEMO, Molex, Omron, TE Connectivity, and more than 100 others. The medical electronics industry evolves quickly, requiring the latest technology to meet critical, always-changing demands. Heilind's portfolio of industry-leading manufacturers provides the latest advances in a wide range of technologies for the most demanding applications.